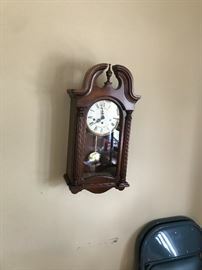 ALLEN PARK LONG TIME RESIDENT TRANSITION SALE - EARLY CHRISTMAS! 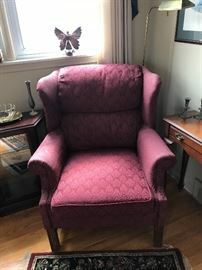 AddressThe address for this sale in Allen Park, MI 48101 will be available after 9:00am on Friday, April 26th, 2019. 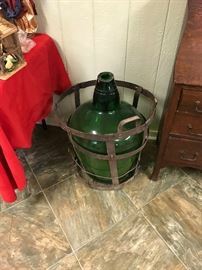 Antique carboy/demijohn in original cage! 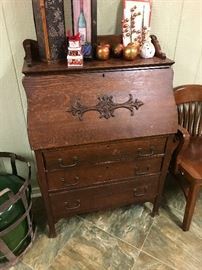 Nice old drop front desk! Anyone know what time it is? 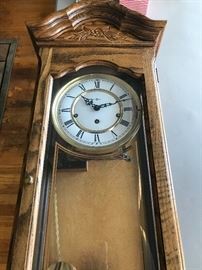 Solid wood and one of 2 Howard Miller wind up wall clocks! House of Bombay Furniture! One of several pieces that match in color and shape! 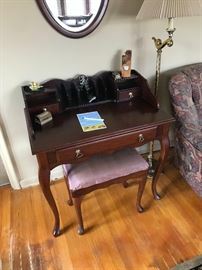 This piece has a flip open top making a perfect size card table! House of Bombay Furniture! One of several pieces that match in color and shape! 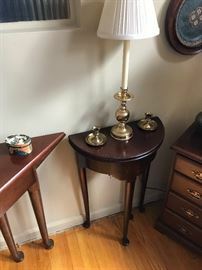 This piece has a flip open top making a cute round side table! House of Bombay Furniture! One of several pieces that match in color and shape! Perfect in size, a 5 drawer side table! Comfy and ready to curl up on! House of Bombay Furniture! One of several pieces that match in color and shape! 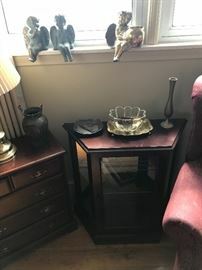 Small lighted curio cabinet! House of Bombay Furniture! One of several pieces that match in color and shape! Smaller in size and perfect for the entryway! 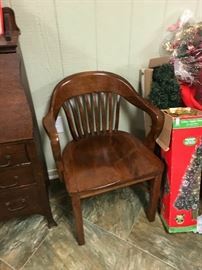 House of Bombay Furniture! One of several pieces that match in color and shape! 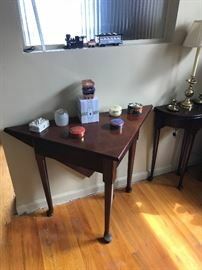 3 piece set with bench and mirror in next picture! Sold with the House of Bombay desk in previous picture! One of several pieces that match in color and shape! Style in a comfortable accent chair! House of Bombay Furniture! One of several pieces that match in color and shape! 3 piece table set, priced separately! 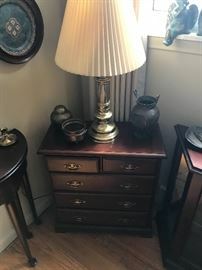 Tall lighted curio cabinet! House of Bombay Furniture! One of several pieces that match in color and shape! 4 brand new bar stools! Not a mark on em! Portmeirion Botanic Garden dishware! This service is accompanied by numerous add on dishes and condiment pieces! Even napkin rings! Portmeirion Botanic Garden dishware! This service is accompanied by numerous add on dishes and condiment pieces! Portmeiron collection has over 130 pieces! Portmeiron collection has over 130 pieces! Missing teapot lid! Portmeiron collection has over 130 pieces! 2 canister sets and a utensil holder too boot! Portmeiron collection has over 130 pieces! Coffee press and honey pot with spoon! Even a small planter for the window! Trifold mirror, atop a 9 drawer dresser! Portmeirion Botanic Garden dishware! This service is accompanied by numerous add on dishes and condiment pieces! Even glassware! 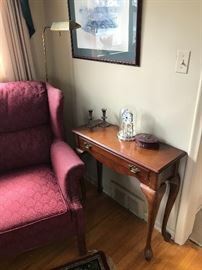 Table with 4 chairs and leaf! Old school Kenwood receiver atop a cute small cabinet!